San Pedro Sula is home to more than a million people. At first glance, you might be surprised by a modern city, with fast food restaurants, shopping malls, heavy traffic and nicely dressed youth. But as you travel through the city you begin to sense extremes, poor and rich, slums and gated communities, large private hospitals and sick people scattered all over, huge factories and a lot of people selling their stuff on the streets, children begging, and homeless elderly. In the 1980s, a Cuban missionary named Daniel Sierra had moved to San Pedro Sula as a tent maker. He started preaching the gospel at different opportunities and started a Bible Study group in his home. Daniel connected GCLA Founder Nelson Guerra with Herschel Martindale, and Mr. Martindale to the GCLA movement. In 1988, Nelson moved to San Pedro Sula with a team of 35 people from Tegucigalpa to provide leadership to the church shortly after. By 1993, The church reached 1,800 people and has since planted several other churches, with the last being the Miami church where Nelson Guerra and a team of 15 people moved in 2002. San Pedro Sula is a cornerstone church for the movement. It has great recognition in the community, and serves as the host church for the Easter Conference where more than 3,500 people get together every year to learn and grow in the Lord. The local church has decided to focus on trying to make a difference to show the love of God to the people in the city. The church’s efforts have come by means of evangelism, Christian music concerts, sports, and providing high-level education to children who live in the slums. We believe that education will improve the opportunities of breaking the chains of poverty and misery. Our approach in every way of serving is always to reach the family, not just serve a stomach, and also generate change in the lives of people, starting from within to improve the conditions of living. Among the group of churches associated with San Pedro Sula are Puerto Cortes, La Lima, El Progresso and Miami. Localidad San Pedro Sula – Sábados 6:00pm. Localidad La Lima – Domingos 6:00pm. 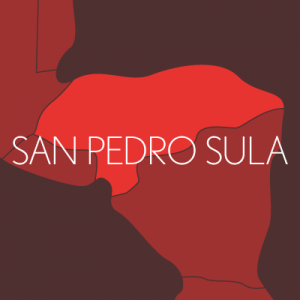 Localidad San Pedro Sula – Col. Fesitranh Zona 1 colindancia con Sta. Mónica.